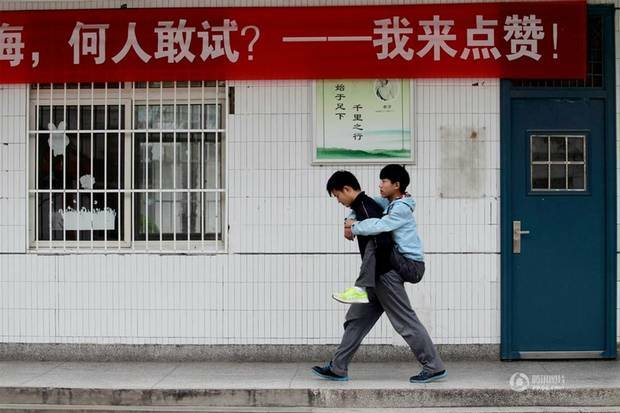 For the past three years, Xie Xu, an 18-year-old student at the Daxu High School in Xuzhou City, China, has selflessly taken it upon himself to help out his friend Zhang Chi, a classmate with muscular dystrophy whom he piggybacked to and from class every day because he was concerned that Zhang would miss out on his education due to his disability. The headmaster of the school commented about the incredible bond that has formed between the two students. The story of the two students is so inspiring and touching. They aren’t family, but [Xie] has been doing this for three years. He’s the most beautiful student. 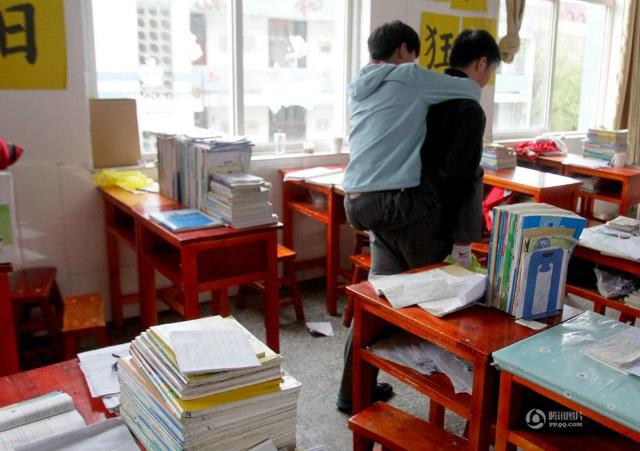 He also exerts positive influence on other students, who readily help Zhang. With their assistance, Zhang has never missed out on one single class. According to Shanghaiist, the boys will be parting ways soon, with Xie hoping to go to Nanjing Polytechnic Institute and Zhang sitting for college entrance exams later this year.